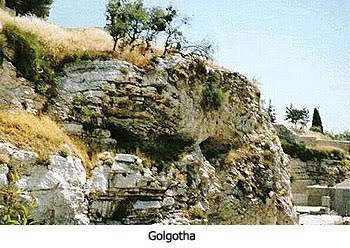 Dr. Reagan: Skull Hill, also called Golgotha, is one of the possible sites of the crucifixion of Jesus. 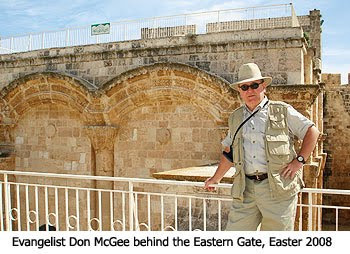 This hill is located in Jerusalem just north of the Old City's Damascus Gate. There is an image on the front of the hill of what appears to be a skull. You can see two eye sockets and the bridge of a nose. Don McGee: We're not talking about mere coincidence here. This is beyond the realm of coincidence. 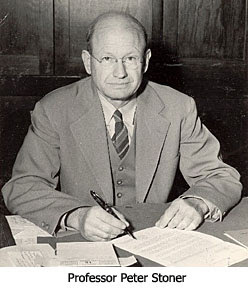 And, keep in mind, Stoner was only talking about eight of the prophecies fulfilled in the life of Jesus. The total that was fulfilled was 109! For more on the science of probability in the Scriptures, please see my article entitled "Applying the Science of Probability to the Scriptures".